Living in Alberta is not for the faint of heart. The weather can flip from freezing to warm and from snow to rain at the drop of a hat. In order to combat this unpredictable weather, your property is outfitted with different types of drainage systems. Some might run under the ground but your eavestrough is always overhead. A proper Olds eavestrough cleaning keeps this perimeter drain running smoothly all year round. 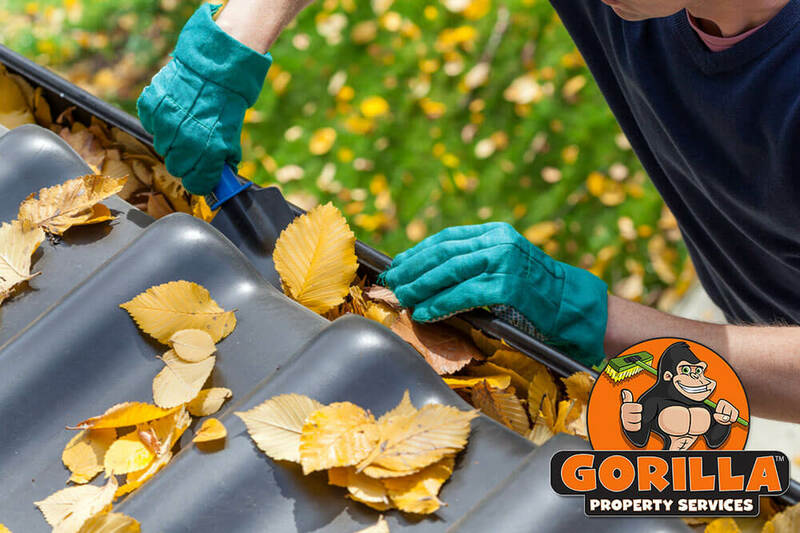 When it is time to get the kinks out, call a Gorilla for your Olds gutter cleaning service. When they are new, your gutter system is designed to transport water away from your roof and surrounding area. On average, Olds sees an annual rainfall of nearly 5 feet. This is, of course, spread throughout the year and falling mostly during the June, July and August months. Although this might not seem like a whole lot of water spread out over time but when it just sits inside your gutters, this little bit of water creates a big problem. As clogs form, they block the passing of water which can add excess weight to the system itself. This additional weight can cause the fixtures around your gutters to bend and break, causing a lot of damage. In addition to unnecessary breaking, this sitting water can lead to water damage, leaks, mould and rot. None of these are things that you want around your roof. 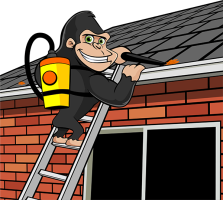 Save yourself the trouble of these issues by calling a Gorilla for your Olds Gutter Cleaning. When our Gorillas hit the heights of your roof, we come prepared. Instead of trying to tackle your gutters with only our paws, our Gorillas use high-power vacuums to clean out every last piece of debris. In addition to putting these vacuums to use, our Gorillas implement smartphones for ‘before and after’ photos and mobile water sources are used to test your drainage system to ensure it flows properly.